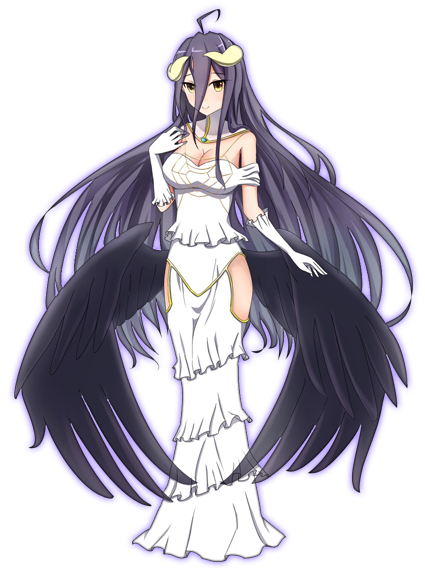 A generous donator officially requested Albedo, so here she is. Looking at her, one would think she’s a some kind of mage or something. She doesn’t ever really fight in the show, however people have analyzed her abilities that have been set by the creators and the world’s rules/logic etc. 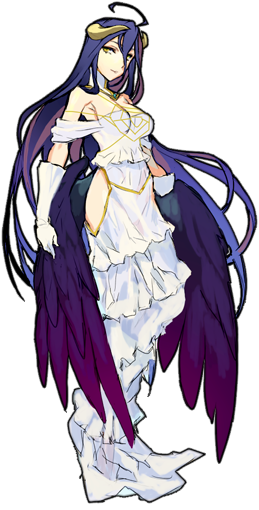 Apparently Albedo is a tank, but only when she has her special armor on. So in the anime, the lore is that she has this ability to make all the damage on her and transfer it to her armor so that it takes the damage instead.The armor is specially made for her and that ability as it has 3 layers since the armor can be destroyed each time, each layer is destroyed. In the show/manga/lite novel, she can only use the ability 3 times a day. She’s not the strongest character offense-wise, but she is super strong compared to most warriors. Her main ability is tanking, allowing for mages on her team enough time to cast powerful spells. So when making her in Skyrim, I kept all of that in mind. 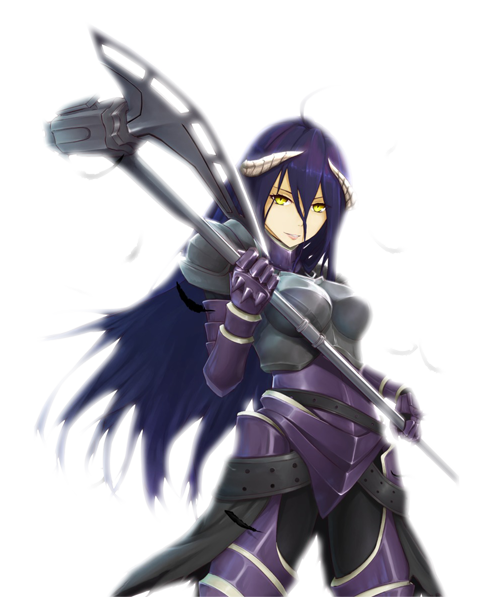 She’s a heavy armored tank and uses her signature two handed axe. Like all my followers though, I gave her some useful perks including stealth so she can sneak with you if needed. She also wont set off any traps and she’ll cast spells that increase her defense. In other words, she’s probably overpowered when it comes to defense and it would take an army or a super powerful character to take her down, but that’s who the character is. Like the show, she is also resistant to most magic as well. Please note that her dress isn’t designed for fighting in and doing crazy movement. It’s the only thing I had to work with. She’s better off fighting in her armor or whatever armor you’d like to give her. 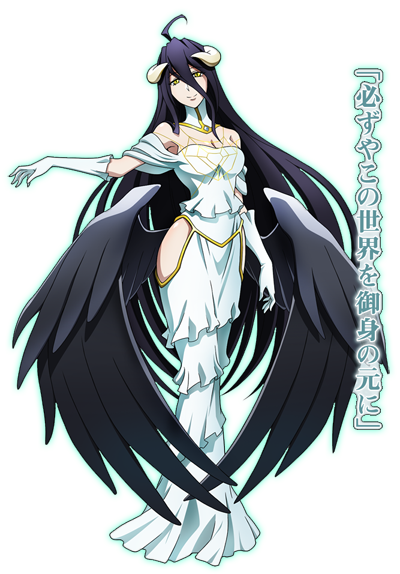 Albedo is succubus from Akaviir who was created sometime in the 1st era by a mysterious being who has long since vanished from all of Mundus. She spent a few hundred years searching for him, but eventually gave up. She has now set her eyes (and perhaps even her heart) onto someone who is either more powerful than her or has potential. She found her way to Skyrim and thought that Ulfric might be worthy, but found him unsuitable. She’s now in Falkreath hoping a worthy adventure comes her way.